A court in Munich has sentenced a former Linklaters partner to three years and three months in prison for sexual assaulting a student at a firm party several years ago. Tax partner Thomas Elser assaulted an intern after Linklaters’ Oktoberfest party in September 2014 before a former litigation partner of the firm, Laurenz Schmitt, intervened and punched him in the face. 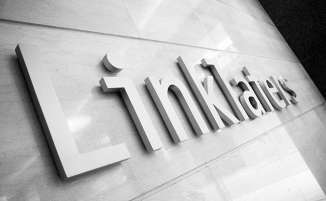 Schmitt reported Elser to the firm the following day and Linklaters started an internal investigation which concluded with both partners leaving the firm with immediate effect. The victim of the assault did not wish to press any charges and wanted no part in criminal proceedings, a spokesperson for the firm said. But the two partners involved subsequently reported each other to the police. Schmitt himself received a seven-month suspended sentence for bodily harm (Körperverletzung) last year, while Elser’s sentence for his offence (Vergewaltigung und vorsätzlicher Körperverletzung) was handed down last week (9 February). Linklaters’ spokesperson added: ‘We have always been mindful that there is a young student at the centre of this case. That concern has guided our behaviour and priorities throughout.’ They also pointed to the fact that ‘the judge was clear in her summing up that Linklaters carried out its internal investigation appropriately’. Linklaters then-German senior partner Carl-Peter Feick, former firmwide managing partner Robert Elliot and litigation partner Christa Band conducted the investigation. A number of Linklaters partners, including Band, were called as witnesses during the trial. The news comes as sexual harassment remains a live topic for the legal profession, although the spokesperson was keen to point out that Linklaters behaved ‘in a very different way’ to other firms criticised recently. Two weeks ago it emerged that an experienced Baker McKenzie partner had been allowed to take on leadership roles at the firm despite accusations of sexually assaulting an associate . The partner in question has subsequently left the firm. In January, it emerged that a Dentons partner had been put on a leave of absence while the firm investigates reports of sexual misconduct while last week the fallout from the Presidents Club exposé revealed that a number of senior lawyers had attended the controversial event.